A dental crown is a covering, or cap, placed over a tooth to protect it from breaking, to make it structurally sound, and to improve its aesthetic look. A filling in the tooth is breaking down. The margins on a filling are inappropriate. A filling is not sufficiently keeping the tooth separated from the others. There are significantly large fillings. Maintaining the cleanliness of a tooth. Lowering the risk of the tooth breaking. Prolonging the life of the tooth. Improving the look of the tooth, hiding any discoloration or other visible damage. Uncomfortable sensitivity to hot and cold following the procedure. Crowns can chip or break. The dental cement used can wash away. Visit News Medical for more information about the advantages and disadvantages. Web Dental has provided more information about alternatives. Prep the area around the tooth to provide the room necessary for the laboratory to make the crown. 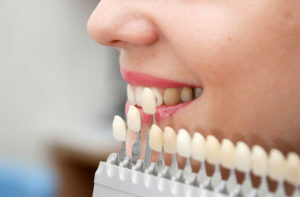 Take an impression of the prepped tooth, ensuring a crown with appropriate thickness is created and that the crown will be strong and allow for a proper and natural bite. Replace old filling material and any existing decay in the tooth with the new filling material. A dental crown can cost from $5oo to $3,000 per tooth. Typically, insurance companies at least partially cover the procedure and only require a co-pay. 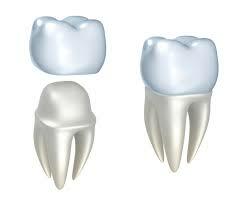 Insurance coverage on a dental crown does vary among insurance companies.